Mrs. Hogan is an appellate specialist handling a wide variety of complex civil cases for both plaintiffs and defendants, appellants and appellees, in state and federal appellate and trial courts. The issues involved in these cases range from contractual disputes, business torts, and complex procedural issues, to insurance disputes, products liability, and probate matters. Mrs. Hogan regularly appears in the Texas Supreme Court, the Fifth Circuit, and the Texas Courts of Appeals. She also frequently finds herself in trial courts arguing complex motions and jury charges. Mrs. Hogan has been named one of the Best Lawyers in America (Woodward/White, Inc.) since 2007. She has been recognized as a Texas Super Lawyer by Super Lawyers (a Thomson Reuters business) every year since 2003. Mrs. Hogan previously was a partner at Pillsbury Winthrop Shaw Pittman LLP, where she was head of the national appellate practice team. Earlier, she was a partner in her own firm, Hogan & Hogan, L.L.P., a boutique appellate firm in Houston. Before forming her own firm in 1995, she was an associate and partner with the law firm of Fulbright & Jaworski, where she was co-leader of the firm's appellate practice group. Following her law-school graduation, Mrs. Hogan served as a Briefing Attorney on the Texas Supreme Court during the 1985-86 court term. Mrs. Hogan served on the Board of Trustees of the Awty International School in Houston for twelve years and as the Board Chair from June 2005 through June 2008. 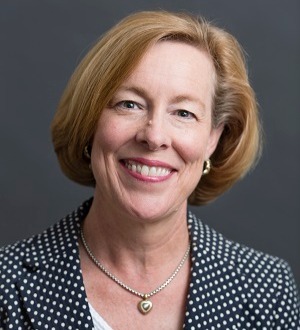 Mrs. Hogan presently serves as a Vice-President of the Parent Network Board of Claremont McKenna College.